Some of the highlights include My Greek Odyssey (The Rusty Cage), a 13-part travel series taking viewers to some of the most spectacular and unique islands in Greece. In Wayfarer, international travel expert and editor James Wilkinson finds the best places to eat, stay and play in eight of the world’s hottest destinations. 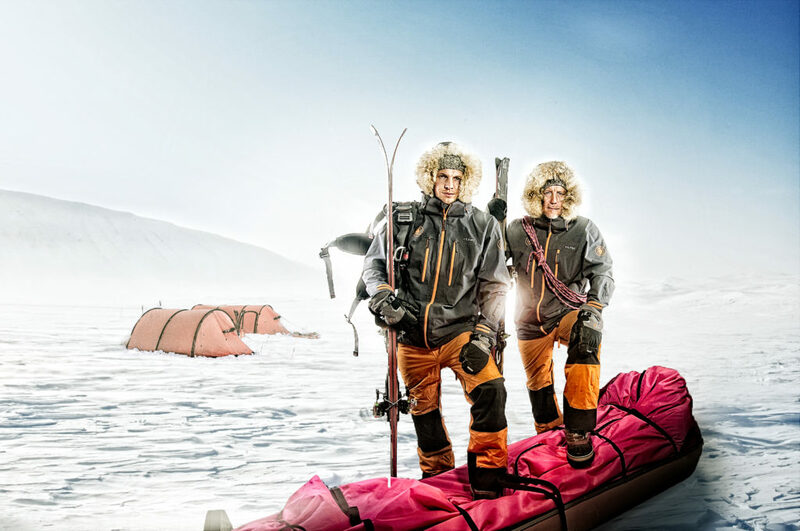 In Nat Geo Artic Quest (5th Element Production) adventurer Geoff Wilson tackles another polar record as he plans to kite-ski the entire 2,200km length of the Greenland ice sheet. Featuring spectacular footage, The Great Lighthouses of Ireland (In Production TV) tells the story of Ireland’s lighthouses and their continuing importance to the country’s survival. The Indian Pacific is a documentary that explores the cultural, political and social history of Australia as train travels from Perth on the Indian Ocean to Sydney on the Pacific. In Billionaire Wonderland, Sherlock star Yasmine Akram visits the very different playgrounds of the super-rich – New York & the Hamptons, the Cote d’Azur, Mallorca & Ibiza, Dubai and Los Angeles. With destinations across Australia, much-loved TV personality Ernie Dingo takes viewers on a special journey with all its stunning beauty and diverse characters in the series Going Places with Ernie Dingo. Searching for Winnetou is the story of Ojibway author and humourist Drew Hayden Taylor’s quest to understand the roots of the German obsession with Native North Americans. KittenTV (Open Sky Pictures) is ‘ambient television’ like the fire log channel…except cuter. No actors. No dialogue. Just kittens…endless kittens. Long running travel series Getaways returns to take viewers around the world to experience the highlights of popular holiday destinations. Flame Media is a television production and distribution company specialising in high quality factual entertainment and documentary content. We work with producers and buyers from around the world to deliver the best quality content for audiences across platforms. We are involved in the development, finance and co-production of content for the international television market. We currently work with 160 content producers from around the world representing over 3,000 hours of their content.